In Chrome use different profiles easily and conveniently. It is quite another – Firefox. Here to get to the manager user profiles have to shaman with the command line. To correct this injustice, we recommend that you familiarize yourself with the extension Switchy. You are using different profiles for different types of activities. For example, for you have your set of extensions and options for entertainment – the other. Your computer and the browser is used by several family members. Each person has a profile that contains its own set of bookmarks and passwords. You are actively experimenting with new additions. It is better to use a special experimental profile, which does not affect the remaining issues in the case of sensitive data. Currently, access to the Firefox Profile Manager can be obtained only by running the browser with a special command-line parameter. Of course, this is inconvenient.Expansion Switchy solves this problem and makes the use of profiles, such as convenient as in Google Chrome. After installing the extension a new button will appear on the browser toolbar.Clicking on it will open a popup window where you can quickly switch to the desired profile. At the bottom of the window there are buttons that allow you to run a built-in profile manager, go to Switchy settings and get information about it to the developers. Switchy Manager provides the ability to create, rename, or delete user profiles. Its interface is extremely simple, so deal with his work, you can without any difficulty. 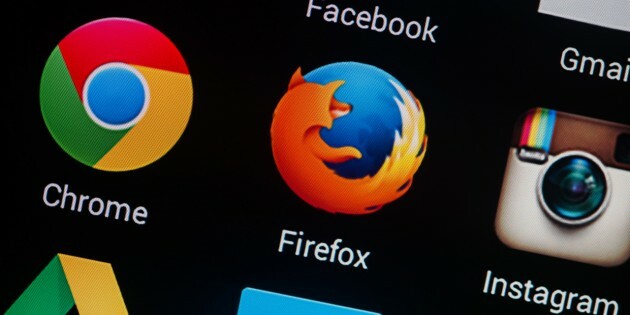 Although Firefox add-ons store, there are several designs that perform similar tasks, Switchy stands out among them the exclusive opportunity to binding sites for certain profiles. This means that every time you go, for example, Facebook, Switchy will offer you to switch to the designated for this profile. In some cases it may be convenient to provide additional privacy and security of your data.